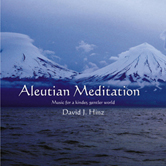 Musician/composer David J. Hinz arranged and produced the uplifting, acoustic instrumental massage music on Aleutian Meditation. Musical collaborators included a wonderful pod of Orca, or killer whales. Paul Spong, the founder of Orca Lab in British Columbia, Canada recorded these wild cetaceans off the northwest shore of Vancouver Island. 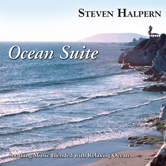 Reviewers have aptly described the music of Aleutian Meditation as “ warm, rich, and resonant”, with lush tones, calming tempos and soulful flute riffs that “sweep away all worries and cares of the land-locked world…”. Mood: A life-enhancing, spacious feeling sweeps over the listener, resulting in a calm awareness and a feeling of peace and relaxation. 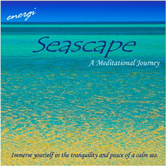 Soundscape: Sophisticated and soulful layering of flutes, sonorous synthesizer, the gentle lapping of ocean waves and the wistful sound of Orca whales makes this music ideal as an accompaniment to massage, meditation, yoga and contemplation. 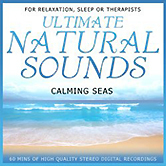 Layered ocean background and sea bird sound effects are followed by the songs of the Orcas. 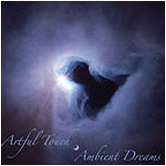 A tonal bed inspired by the Orca songs is delivered via synthesizer. Flute songs played on bass, alto, and C flutes finish the sound mix. 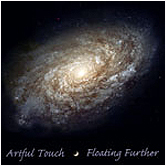 The flute tracks were all recorded as first take improvisations in real time. At the beginning and end of the recording, David played an Indonesian gong supplied by Gamelan Pacifica (a gong-chime percussion orchestra). 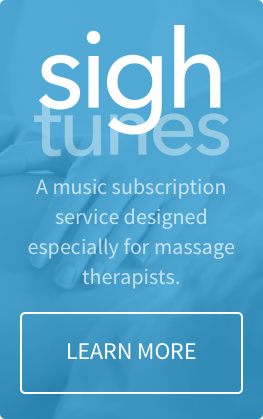 Intended Use: Massage music for spa and relaxation; composed/arranged for massage therapists and healing arts professionals for use as musical accompaniment during bodywork and therapy sessions. 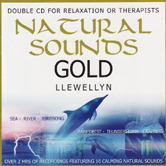 This music is used for relaxation during massages so that clients may enjoy a calming musical environment layered with gentle sounds of the ocean and orca whales. Composer and musician, David J. Hinz is a resident of Northern California and a graduate of the Cornish School of the Arts in Seattle, WA. His lifelong passion for music has been fueled by numerous master classes and workshops with musicians and composers including Julius Baker & Michel Debost, James Galway & Paul Horn, Ransom Wilson & Paul Winter among others. Owner of one of the earliest (1998) prototype 14K gold Kingma System Flutes crafted by Brannen Brothers of Woburn, MA, David’s flute repertoire is deep and includes musical improvisation and recordings with flutes of varying scales, shapes, sizes, materials and tonality. 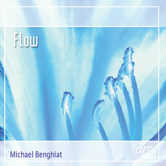 His natural, light jazzy style on the keyboards, synth and percussion instruments expands his musical range and provides a complementary and simpatico accompaniment to his original flute compositions and impromptu live riffs. 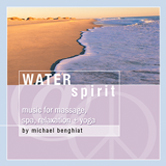 This is one of my favourite cd’s for massage. The music is almost too relaxing. 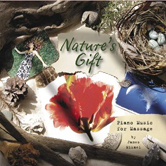 I left my cd at the spa I worked at, and I am ordering two cd’s this time. This is the only place I can get the cd.